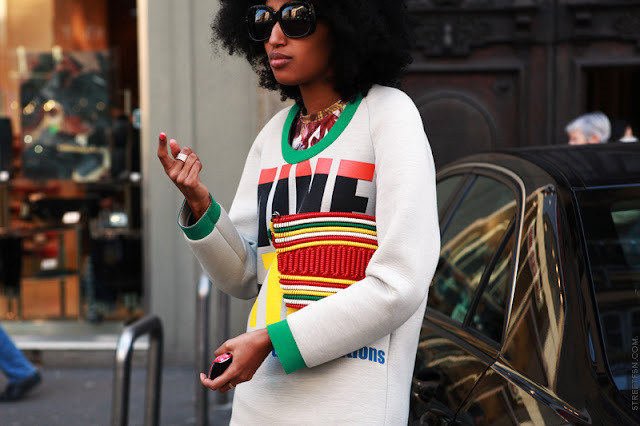 23 year old Julia Sarr Jamois is Fashion Editor of Wonderland magazine as of 2010 and has become style fixture ever since . 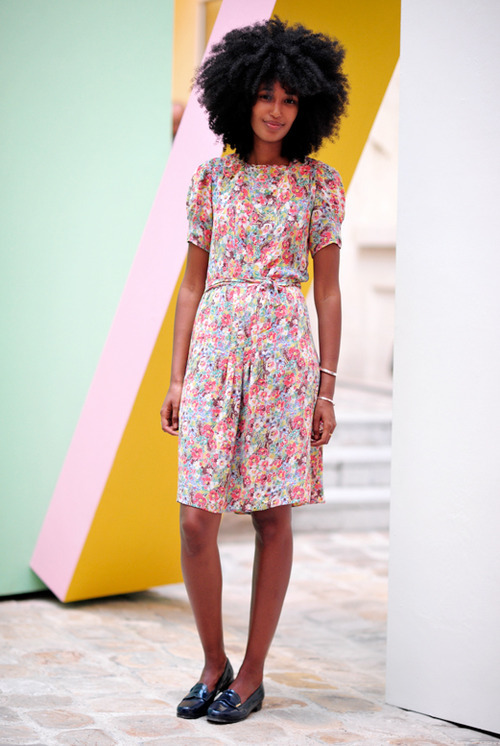 Half Senegalese half French, former model with perfect Afro hair is at 1st row of every major European fashion week. Her style is edgy, yet with structure and impeccable sense for prints and combinations of denim, color blocking and accessorizing. Whatever she styles, Julia is always comfy yet feminine. Funky sunglasses in all seasons are glaming her look instead of massive jewelry. 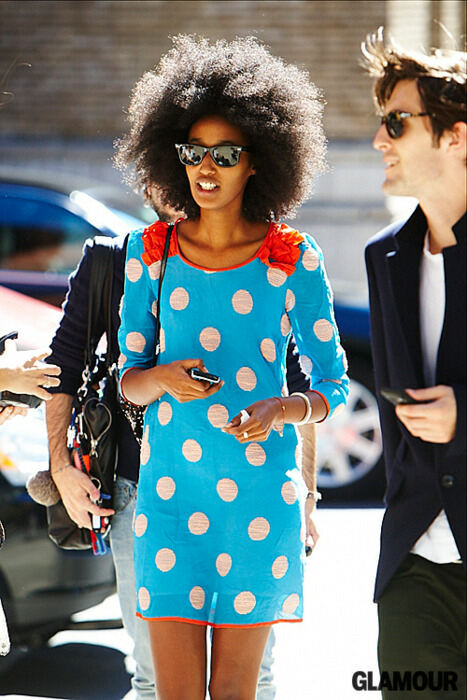 To get her style start from printed dresses and printed combos.